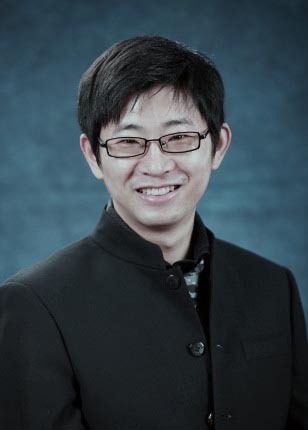 Min Chen is a full professor in School of Computer Science and Technology at Huazhong University of Science and Technology (HUST) since Feb. 2012. He is the director of Embedded and Pervasive Computing (EPIC) Lab at HUST. He is Chair of IEEE Computer Society (CS) Special Technical Communities (STC) on Big Data. He was an assistant professor in School of Computer Science and Engineering at Seoul National University (SNU). He worked as a Post-Doctoral Fellow in Department of Electrical and Computer Engineering at University of British Columbia (UBC) for three years. Before joining UBC, he was a Post-Doctoral Fellow at SNU for one and half years. He received Best Paper Award from QShine 2008, IEEE ICC 2012, ICST IndustrialIoT 2016, and IEEE IWCMC 2016. He serves as technical editor or associate editor for IEEE Network, Information Sciences, Information Fusion, and IEEE Access, etc. He served as a leading Guest Editor for IEEE Wireless Communications, IEEE Network, and IEEE Trans. Service Computing, etc. He is a Series Editor for IEEE Journal on Selected Areas in Communications. He is Co-Chair of IEEE ICC 2012-Communications Theory Symposium, and Co-Chair of IEEE ICC 2013-Wireless Networks Symposium. He is General Co-Chair for IEEE CIT-2012, Tridentcom 2014, Mobimedia 2015, and Tridentcom 2017. He is Keynote Speaker for CyberC 2012, Mobiquitous 2012, Cloudcomp 2015, IndustrialIoT 2016, Tridentcom 2017 and The 7th Brainstorming Workshop on 5G Wireless. He has 300+ publications, including 200+ SCI papers, 100+ IEEE Trans./Journal papers, 32 ESI highly cited papers and 10 ESI hot papers. He has published eleven books: OPNET IoT Simulation (2015), Big Data Inspiration (2015), 5G Software Defined Networks (2016) and Introduction to Cognitive Computing (2017) with HUST Press, Big Data: Related Technologies, Challenges and Future Prospects (2014) and Cloud Based 5G Wireless Networks (2016) with Springer, Cognitive Computing and Deep Learning (2018) with China Machine Press, and Big Data Analytics for Cloud/IoT and Cognitive Computing (2017) with Wiley. His Google Scholar Citations reached 15,700+ with an h-index of 62 and i10-index of 196. His top paper was cited 1800+ times. He is an IEEE Senior Member since 2009. He was selected as Highly Cited Research at 2018. He got IEEE Communications Society Fred W. Ellersick Prize in 2017. His research focuses on cognitive computing, 5G Networks, embedded computing, wearable computing, big data analytics, robotics, machine learning, deep learning, emotion detection, IoT sensing, and mobile edge computing, etc. SCI Citations (Sum of Times Cited without self-citations) > 5500 [link]. 11 Popular Content of this publication, as of Jan 30, 2015 [pdf] Min Chen, S. Mao, Y. Liu, "Big Data: A Survey", ACM/Springer Mobile Networks and Applications, Vol. 19, No. 2, pp. 171-209, April 2014. 15 ESI Highly Cited Paper: "Rethinking energy efficiency models of cellular networks with embodied energy", IEEE Network, Vol. 25, No. 2, pp. 40-49, 2011. 19 ESI Highly Cited Paper: Min Chen, Y. Hao, Y. Li, C. Lai, D. Wu, "On The Computation Offloading at Ad Hoc Cloudlet: Architecture and Service Models", IEEE Communications, Vol. 53, No. 6, pp. 18-24, June 2015. 20 ESI Highly Cited Paper: Min Chen, Y. Zhang, Y. Li, S. Mao, V. Leung, "EMC: Emotion-aware Mobile Cloud Computing in 5G", IEEE Network, Vol. 29, No. 2, pp. 32-38, Mar. 2015. 21 ESI Highly Cited Paper: Min Chen, et al. AIWAC: Affective Interaction through WearAble Computing and Cloud Technology", IEEE Wireless Communications Magazine, Vol. 22, No. 1, pp. 20-27, Feb. 2015. 22 ESI Highly Cited Paper: "Energy-Efficiency Optimization for MIMO-OFDM Mobile Multimedia Communications Systems with QoS Constraints", IEEE Transactions on Vehicular Technology, Vol. 63, No. 5, pp. 2127-2138, 2014. 24 ESI Highly Cited Paper: Min Chen, et al. "Cloud-based Wireless Network: Virtualized, Reconfigurable, Smart Wireless Network to Enable 5G Technologies", ACM/Springer Mobile Networks and Applications , Vol. 20, No. 6, pp. 704-712, Dec. 2015. 25 ESI Highly Cited Paper: Min Chen, et al. "Software-Defined Mobile Networks Security", ACM/Springer Mobile Networks and Applications , Vol. 21, No. 5, pp. 729–743, 2016. 26 ESI Highly Hot Paper: Y. Zhang, Min Chen (通信作者), D. Huang, D. Wu, Y. Li, "iDoctor: Personalized and Professionalized Medical Recommendations Based on Hybrid Matrix Factorization", Future Generation Computer Systems , Vol. 66, pp. 30-35, Jan. 2017. 27 ESI Highly Cited Paper: Y. Zhang, Min Chen, S. Mao, L. Hu, V. Leung, "CAP: Crowd Activity Prediction Based on Big Data Analysis", IEEE Network, Vol. 28, No. 4, pp. 52-57, July 2014 . 36 ESI Highly Cited Paper: Min Chen, et al., "Wearable 2.0: Enable Human-Cloud Integration in Next Generation Healthcare System", IEEE Communications , Vol. 55, No. 1, pp. 54-61, Jan. 2017. 37 ESI Highly Cited Paper: Y. Li, Min Chen (通信作者), "Software-Defined Network Function Virtualization: A Survey", IEEE Access, Vol. 3, pp. 2542-2553, 2015. 38 ESI Highly Cited Paper: Min Chen, P. Zhou, G. Fortino, "Emotion Communication System", IEEE Access , Vol. 5, pp. 326-337, 2017. 39 ESI Highly Cited Paper: Min Chen, et al., "Smart Clothing: Connecting Human with Clouds and Big Data for Sustainable Health Monitoring", ACM/Springer Mobile Networks and Applications, Vol. 21, No. 5, pp. 825–845, 2016. 52 ESI Highly Cited Paper: Min Chen, Y. Hao, L. Hu, K. Huang, V. Lau, "Green and Mobility-aware Caching in 5G Networks", IEEE Trans. Wireless Communications, Vol. 16, No. 12, pp. 8347-8361, 2017. 53 ESI Highly Cited Paper: Min Chen, Y. Qian, Y. Hao, Y. Li, J. Song, "Data-Driven Computing and Caching in 5G Networks: Architecture and Delay Analysis", IEEE Wireless Communications, Vol. 25, No. 1, pp. 70-75, Feb. 2018. 56 ESI Highly Cited Paper: Y. Zhang, Min Chen, et al., "SOVCAN: Safety-Oriented Vehicular Controller Area Network", IEEE Communications, Vol. 55, No. 8, pp. 94-99, Aug 2017. 57 ESI Highly Cited Paper: Min Chen, et al., "Cognitive Internet of Vehicles", Computer Communications, Vol. 120, pp. 58-70, May 2018. 58 ESI Highly Cited Paper:Min Chen, et al., "SPHA: Smart Personal Health Advisor Based on Deep Analytics", IEEE Communications, Vol. 56, No. 3, pp. 164-169, Mar. 2018. 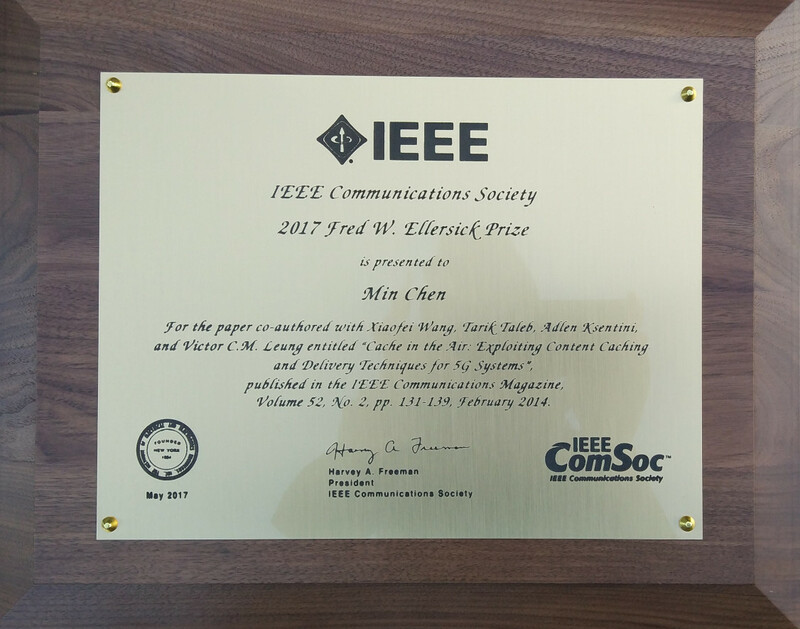 59 ESI Highly Cited Paper & ESI Hot Paper: Min Chen, Y. Hao, "Task Offloading for Mobile Edge Computing in Software Defined Ultra-dense Network", IEEE Journal on Selected Areas in Communications, Vol. 36, No. 3, pp. 587-597, Mar. 2018. Leading GE, IEEE Network (Impact Factor: 7.23) Special Issue on Intelligent Network Assisted by Cognitive Computing and Machine Learning, Submission Deadline: Sep 15, 2018. Corresponding GE, IEEE Wireless Communications (Impact Factor: 8.972) Special Issue on AI for Cognitive Wireless Communications, Submission Deadline: July 31, 2018. Leading GE, Future Generation Computer Systems (Impact Factor: 3.997) Special Issue on Advanced Artificial Intelligence Technologies for Multimedia Communications and Processing in Internet of Vehicles, Submission Deadline: Aug. 1, 2018. Information Fusion (Impact Factor: 5.667) Special Issue on Information Fusion for Emotion-aware Intelligent Systems [link] Submission Deadline: Feb 15, 2018. 7 Min Chen, Y. Li, "软件定义5G网络—— 面向智能服务5G移动网络关键技术探索", 华中科技大学出版社, ISBN 978-7-5609-9510-6, Dec. 2016. Min Chen, K. Hwang, "认知计算与深度学习", 机械工业出版社, IBSN: 978-7-111-58496-4, 2018. 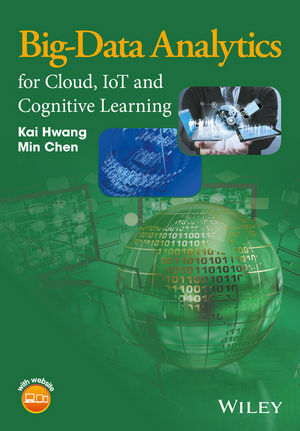 K. Hwang, Min Chen, Big Data Analytics for Cloud/IoT and Cognitive Computing, Wiley, U.K., ISBN: 9781119247029, 2017. Min Chen, "认知计算导论", 华中科技大学出版社, IBSN: 978-7-5680-2808-0, 2017. IEEE Trans. Service Computing special issue on “Mobile Big Data Management and Innovative Applications” Dec. 2015. IEEE Trans. Neural Networks and Learning Systems special issue on “Affective Services based on Representation Learning”, 2017. IEEE IoT Journal special issue on “Cognitive Internet of Things", 2017. 8th International Conference on Mobile Multimedia Communications (Mobimedia 2015), Chengdu, China, May 25-27, 2015. 17th Intl. Conference on E-health Networking, Application & Services (IEEE Healthcom 2015), Oct., 2015. 9th International Conference on Testbeds and Research Infrastructures for the Development of Networks & Communities (TRIDENTCOM 2014), May 5–7, 2014 Guangzhou, People's Republic of China. Min Chen, S. Gonzalez, Q. Zhang, V. Leung, "Software Agent-based Intelligence for Code-centric RFID Systems", IEEE Intelligent Systems, vol. 25, no. 2, pp. 12-19, Mar./Apr. 2010. Min Chen, S. Gonzalez, Q. Zhang, M. Li and V. Leung, "A 2G-RFID based E-healthcare System", IEEE Wireless Communications Magazine, Vol. 17, No. 1, pp. 37-43, Feb. 2010. Min Chen, V. Leung, S. Mao, Y. Xiao, I. Chlamtac, "Hybrid Geographical Routing for Flexible Energy-Delay Trade-Offs", IEEE Transactions on Vehicular Technology, vol.58, no.9, pp.4976-4988, Nov. 2009. Min Chen, L. Yang, T. Kwon, L. Zhou, M. Jo, "Itinerary Planning for Energy-efficient Agent Communication in Wireless Sensor Networks", IEEE Transactions on Vehicular Technology, Vol. 60, No.7, pp. 3290-3299, Sep. 2011. Min Chen, S. Gonzalez and V. Leung, "Applications and Design Issues of Mobile Agents in Wireless Sensor Networks", IEEE Wireless Communications Magazine, Vol. 14, No. 6, pp. 20-26, Dec. 2007. 12 Min Chen, Y. Wen, H. Jin, V. Leung, "Enabling Technologies for Future Data Center Networking: A Primer," IEEE Network, Vol. 27, No. 4, pp. 8-15, July 2013. 14 Min Chen and G. Wei, "Multi-Stages Hybrid ARQ with Conditional Frame Skipping and Reference Frame Selecting Scheme for Real-Time Video Transport Over Wireless LAN," IEEE Transaction on Consumer Electronics, Vol. 50, No. 1, pp. 158-167, Feb, 2004. 15 Min Chen, Y. Zhang, Y. Li, S. Mao, V. Leung, "EMC: Emotion-aware Mobile Cloud Computing in 5G", IEEE Network, Vol. 29, No. 2, pp. 32-38, Mar. 2015. 16 Min Chen, Y. Zhang, Y. Li, M. Hassan, A. Alamri,"AIWAC: Affective Interaction through WearAble Computing and Cloud Technology", IEEE Wireless Communications Magazine, Vol. 22, No. 1, pp. 20-27, Feb. 2015. 17 Min Chen, Y. Hao, Y. Li, C. Lai, D. Wu, "On The Computation Offloading at Ad Hoc Cloudlet: Architecture and Service Models", IEEE Communications, Vol. 53, No. 6, pp. 18-24, June 2015. 18 Min Chen, Y. Hao, C. Lai, J. Song, D. Wu, K. Hwang, "Opportunistic Workflow Scheduling over Co-Located Clouds in Mobile Environment", IEEE Trans. Service Computing, accepted, 2016. S. Gonzalez, Min Chen*, V. Leung, "Mobility Support for Health Monitoring at Home Using Wearable Sensors", IEEE Transactions on Information Technology in Biomedicine, vol.15, no.4, pp.539-549, July 2011. Y. Yuan, Z. He, and Min Chen, "Virtual MIMO-based Cross Layer Design for Wireless Sensor Networks," IEEE Transactions on Vehicular Technology, Vol. 53, No. 3, pp. 856-864, May 2006. X. Wang, Min Chen, Y. Zhang, T. Kwon, Y. Choi, "Characterizing the MMORPG Traffic: from Game Content to Network Access", IEEE Network Magazine, Vol.26, No.1, pp. 27-34, Feb. 2012. C. Lai, Min Chen, et. al., "A RF4CE-based Remote Controller with Interactive Graphical User Interface Applied to Home Automation System", ACM Transactions on Embedded Computing Systems, Vol. 12, No. 2, Article No. 30, Feb. 2013. I. Humar, X. Ge, L. Xiang, M. Jo, Min Chen, J. Zhang, "Rethinking Energy-efficiency Models of Cellular Networks with Embodied Energy", IEEE Network Magazine, Vol.25, No.2, pp. 40-49, March/April 2011. M. Qiu, W. Gao, Min Chen, J. Niu, L. Zhang, "Energy Efficient Security Algorithm for Power Grid Wide Area Monitoring System", IEEE Transactions on Smart Grid, Vol. 2, No. 4, pp. 715-723, December 2011. M. Qiu, H. Su, Min Chen, Z. Ming, L. Yang, "Balance of Security Strength and Energy for a PMU Monitoring System in Smart Grid", IEEE Communications Magazine, Vol. 50, No. 5, pp. 142-149, May 2012. L. Zhou, Min Chen, H. Chen, Y. Qian, "Fairness Resource Allocation in Blind Wireless Multimedia Communications", IEEE Transactions on Multimedia, Vol. 15, No. 4, pp. 946-956, June 2013. 27 V. Leung, Y. Wen, Min Chen*, C. Rong, "Mobile Cloud Computing,” IEEE Wireless Communications Magazine, Vol.20, No.3, pp. 12-13, June 2013. 28 C. Luo, G. Min, F. Yu, Min Chen, L. Yang, V. Leung, "Energy-Efficient Distributed Relay and Power Control in Cognitive Radio Cooperative Communications", IEEE Journal on Selected Areas in Communications, Vol. 31, No. 11, pp. 2442-2452, Nov. 2013. 29 V. Leung, Min Chen*, M. Guizani, B. Vucetic, "Cloud-Assisted Mobile Computing and Pervasive Services,” IEEE Network, Vol. 27, No. 5, pp. 4-5, Sep. 2013. 30 D. Zhang, Min Chen, M. Guizani, H. Xiong, D. Zhang, "Mobility Prediction in Telecom Cloud Using Mobile Calls", IEEE Wireless Communications Magazine, Vol. 21, No. 1, pp. 26-32, Feb. 2014. 31 X. Ge, X. Huang, Y. Wang, Min Chen, Q. Li, T. Han, C. Wang, "Energy Efficiency Optimization for MIMO-OFDM Mobile Multimedia Communications Systems with QoS Constraints", IEEE Transactions on Vehicular Technology, Vol. 63, No. 5, pp. 2127-2138, 2014. 32 D. Zhang, C. Hsu, Min Chen*, et al., "Cold-start Recommendation Using Bi-clustering and Fusion For Large-scale Social Recommender Systems", IEEE Transactions on Emerging Topics in Computing, Vol. 2, No. 2, pp. 239-250, June 2014. 33 X. Wang, Min Chen*, T. Taleb, A. Ksentini, V. Leung, "Cache In The Air: Enabling the Green Multimedia Caching and Delivery for the 5G Network", IEEE Communications Magazine, Vol. 52, No. 2, pp. 131-139, Feb. 2014. 34 X. Wang, Min Chen, T. Kwon, L. Jin, V. Leung, "Mobile Traffic Offloading by Exploiting Social Network Services and Leveraging Opportunistic Device-to-Device Sharing", IEEE Wireless Communications, Vol. 21, No. 3, pp. 28-36, 2014. 35 H. Wang, S. Wu, Min Chen, W. Wang, "Security Protection between Users and the Mobile Media Cloud", IEEE Communications Magazine, Vol. 52, No. 3, pp. 73-79, Mar. 2014. 36 C. Lai, Min Chen, J. Pan, C. Youn, H. Chao, "Collaborative Computing Framework of Cloud Network and WBSN Applied Falling Detection and Body Reconstruction", IEEE Transactions on Information Technology in Biomedicine, Vol. 18, No. 2, pp. 457-466, 2014. 37 W. Cai, Min Chen, V. Leung, "Towards Gaming as a Service", IEEE Internet Computing, Vol. 18, No. 3, pp. 12-18, May-June 2014. 38 X. Wang, Min Chen, "PreFeed: Cloud-Based Content Prefetching of Feed Subscriptions for Mobile Users", IEEE System Journal, Vol. 8, No. 1, pp. 202-207, Mar. 2014. 39 C. Lai, Min Chen, "Playback-Rate Based Streaming Services for Maximum Network Capacity in IP Multimedia Subsystem", IEEE System Journal, Vol. 5, No. 4, pp.555-563, Dec. 2011. 40 Y. Zhang, Min Chen, S. Mao, L. Hu, V. Leung, "CAP: Crowd Activity Prediction Based on Big Data Analysis", IEEE Network, Vol. 28, No. 4, pp. 52-57, July 2014. 41 P. Shu, F. Liu, H. Jin, Min Chen, F. Wen, Y. Qu, Bo Li, "eTime: Energy-Efficient Transmission between Cloud and Mobile Devices", IEEE INFOCOM 2013 - Mini, Turin, Italy, Apr. 14-19, 2013. 42 D. Zhang, S. Zhao, L. Yang, Min Chen, Y. Wang, H. Liu, "NextMe: Localization Using Cellular Traces in Internet of Things", IEEE Transactions on Industrial Informatics, Vol. 11, No. 2, pp. 302-312, 2015. 43 X. Wang, Min Chen, Z. Han, D. Wu, T. Kwon, "TOSS: Traffic Offloading by Social Network Service-Based Opportunistic Sharing in Mobile Social Networks", IEEE INFOCOM 2014, Toronto, Canada Apr. 27-May 2, 2014. 45 V. Leung, T. Taleb, Min Chen, T. Magedanz, L. Wang, R. Tafazolli, "Unveiling 5G Wireless Networks: Emerging Research Advances, Prospects, and Challenges", IEEE Network, Vol. 28, No. 6, pp. 3-5, Nov. 2014. 47 C. Perera, C. Liu, S. Jayawardena, Min Chen, "A Survey on Internet of Things From Industrial Market Perspective", IEEE Access, Vol. 2, pp. 1660-1679, 2014. [LocalPDF] [Video] One of the Top 10 most popular articles (rank No. 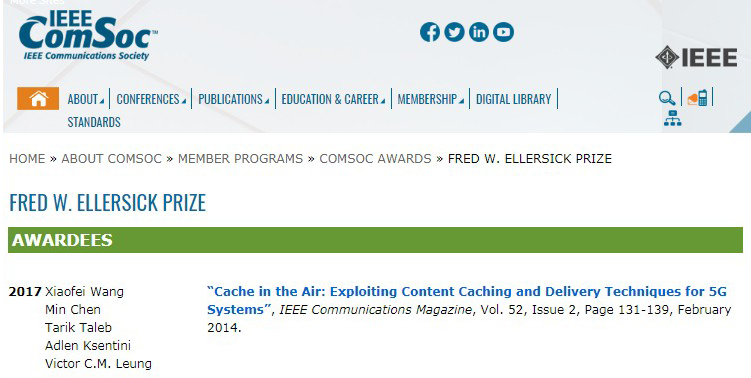 4) published in IEEE Access based on the number of downloads for the month of June, 2015. 48 Min Chen, V. Leung, X. Lai, "5G Wireless Technologies: Perspectives on the Next Generation of Mobile Communications and Networking", IEEE Access, Vol. 1, No. 1, pp. 1-3, Dec. 2014. 49 W. Sha, Y. Zhu, Min Chen, T. Huang, "Statistical Learning for Anomaly Detection in Cloud Server Systems: A Multi-Order Markov Chain Framework", IEEE Trans. on Cloud Computing, DOI: 10.1109/TCC.2015.2415813, 2015. 50 Z. Sheng, C. Mahapatra, V. Leung, Min Chen, P. Sahu, "Energy Efficient Cooperative Computing in Mobile Wireless Sensor Networks", IEEE Trans. on Cloud Computing, 10.1109/TCC.2015.2458272, July 2015. 51 J. Liu, Y. Li, Min Chen, W. Dong, D. Jin, "Software-Defined Internet of Things for Smart Urban Sensing", IEEE Communications, Vol. 53, No. 9, pp. 55-63, 2015. 52 J. He, D. Wu, X. Xie, Min Chen, Y. Li, "Efficient Upstream Bandwidth Multiplexing for Cloud Video Recording Services", IEEE Trans. on Circuits and Systems for Video Technology, DOI: 10.1109/TCSVT.2015.2475875, 2015. 53 C. Liu, Z. Zhang, Min Chen, "Personalized Multimedia Recommendations for Cloud-Integrated Cyber-Physical Systems", IEEE System Journal, DOI:10.1109/JSYST.2015.2440431, 2015. 54 Y. Niu, Y. Li, Min Chen, D. Jin, S. Chen, "A Cross-Layer Design for Software Defined Millimeter-Wave Mobile Broadband System", IEEE Communications, Vol. 54, No. 2, pp. 124-130, 2016. 55 Y. Li, Min Chen, W. Dai, M. Qiu, "Energy Optimization With Dynamic Task Scheduling Mobile Cloud Computing", IEEE System Journal, DOI: 10.1109/JSYST.2015.2442994, 2015. 56 S. Kim, D. Kang, W. Kim, Min Chen, C. Youn, "A Science Gateway Cloud with Cost Adaptive VM Management for Computational Scientific Applications", IEEE System Journal, DOI: 10.1109/JSYST.2015.2501750, 2016. 57 W. Ji, Y. Chen, Min Chen, B. Chen, Y. Chen, S. Kung, "Profit Maximization through Online Advertising Scheduling for A Wireless Video Broadcast Network", IEEE Transaction on Mobile Computing, Vol. 15, No. 8, pp. 2064-2079, Aug. 2016. 58 Y. Li, F. Zheng, Min Chen, D. Jin, "A Unified Control and Optimization Framework for Dynamical Service Chaining in Software-Defined NFV System", IEEE Wireless Communications, Vol. 22, No. 6, pp. 15-23, Dec. 2015. 59 F. Xu, Y. Li, Min Chen, S. Chen, "Mobile Cellular Big Data: Linking Cyberspace and Physical World with Social Ecology", IEEE Network, Vol. 30, No. 3, pp. 6-12, 2016. 60 Min Chen, Y. Ma, et al., "Wearable 2.0: Enable Human-Cloud Integration in Next Generation Healthcare System ", IEEE Communications, 2016. 61 A. Ksentini, T. Taleb, Min Chen, G. Xue, "Coping with Emerging Mobile Social Media Applications through Dynamic Service Function Chaining", IEEE Trans. Wireless Communications, Vol. 15, No. 4, pp. 2859-2871, 2016. 62 H. Tian, D. Wu, J. He, Y. Xu, Min Chen, "Toward Cost-Effective Mobile Video Streaming via Smart Cache With Adaptive Thresholding", IEEE Transactions on Broadcasting, Vol. 61, No. 4, pp. 639-650, 2015. 63 Y. Li, Min Chen, "Software-Defined Network Function Virtualization: A Survey", IEEE Access, Vol. 3, pp. 2542-2553, 2015. 64 X. Hou, Y. Li, Min Chen, D. Wu, D. Jin, S. Chen, "Vehicular Fog Computing: A Viewpoint of Vehicles As the Infrastructures", IEEE Transaction on Vehicular Technology, Vol. 65, No. 6, pp. 3860-3873, 2016. 65 K. Lai, Min Chen, J. Deng, M. Hassan, G. Fortino, "Enhanced Fingerprinting and Trajectory Prediction for IoT Localization in Smart Buildings", IEEE Transactions on Automation Science and Engineering, Vol. 13, No. 3, pp. 1294-1307, 2016. 66 Y. Zheng, D. Wu, Y. Ke, C. Yang, Min Chen, G. Zhang, "Online Cloud Transcoding and Distribution for Crowdsourced Live Game Video Streaming", IEEE Trans. on Circuits and Systems for Video Technology, DOI: 10.1109/TCSVT.2016.2556584, 2016. 67 G. Gao, C. Liu, Min Chen, S. Guo, K. Leung, "Cloud-based Video Actor Identification with Batch-Orthogonal Local-Sensitive Hashing and Sparse Representation", IEEE Trans. on Multimedia, Vol. 18, No. 9, pp. 1749-1761, 2016. 68 Min Chen, Y. Qian, K. Hwang, J. Song, S. Mao, "Privacy Protection and Intrusion Avoidance for Cloudlet-based Medical Data Sharing", IEEE Trans. Cloud Computing, accepted, 2016. 69 Min Chen, Y. Ma, Y. Li, D. Wu, Y. Zhang, C. Youn, "Wearable 2.0: Enable Human-Cloud Integration in Next Generation Healthcare System", IEEE Communications, accepted, 2016. 70 D. Zhang, L. Yang, Min Chen, S. Zhao, M. Guo, Y. Zhang, "Real-Time Locating Systems Using Active RFID for Internet of Things", IEEE Systems Journal, Vol. 10, No. 3, pp. 1226-1235, Sep. 2016. 71 L. Peng, Min Chen, K. Park, G. Shen, "Virtual-Pod-Assisted Routing and Resource Assignment in Elastic All-Optical Switched Intra-Datacenter Networks", IEEE Access, accepted, 2016. 72 Y. Hu, J. Song, Min Chen, "Modeling for Information Diffusion in Online Social Networks via Hydrodynamics", IEEE Access, accepted, 2016. 73 K. Hwang, Min Chen, J. Wu, "Mobile Big Data Management and Innovative Applications (Editorial)", IEEE Trans. Service Computing, Vol. 9, No. 5, pp. 784-785, 2016. 74 Min Chen, Y. Qian, K. Hwang, J. Song, S. Mao, "Privacy Protection and Intrusion Avoidance for Cloudlet-based Medical Data Sharing", IEEE Trans. Cloud Computing, accepted, 2016. 75 W. Sha, Y. Zhu, Min Chen, T. Huang, "Statistical Learning for Anomaly Detection in Cloud Server Systems: A Multi-Order Markov Chain Framework", IEEE Trans. on Cloud Computing, DOI: 10.1109/TCC.2015.2415813, 2015. 76 Z. Sheng, C. Mahapatra, V. Leung, Min Chen, P. Sahu, "Energy Efficient Cooperative Computing in Mobile Wireless Sensor Networks", IEEE Trans. on Cloud Computing, DOI: 10.1109/TCC.2015.2458272, 2015. 77 J. He, D. Wu, X. Xie, Min Chen, Y. Li, "Efficient Upstream Bandwidth Multiplexing for Cloud Video Recording Services", IEEE Trans. on Circuits and Systems for Video Technology, DOI: 10.1109/TCSVT.2015.2475875, 2015. 78 C. Liu, Z. Zhang, Min Chen, "Personalized Multimedia Recommendations for Cloud-Integrated Cyber-Physical Systems", IEEE System Journal, DOI:10.1109/JSYST.2015.2440431, 2015. 79 S. Kim, D. Kang, W. Kim, Min Chen, C. Youn, "A Science Gateway Cloud with Cost Adaptive VM Management Scheme for Computational Scientific Applications", IEEE System Journal, DOI: 10.1109/JSYST.2015.2501750, 2016. 80 Y. Li, Min Chen, W. Dai, M. Qiu, "Energy Optimization With Dynamic Task Scheduling Mobile Cloud Computing", IEEE System Journal, DOI: 10.1109/JSYST.2015.2442994, 2015. 81 Y. Zheng, D. Wu, Y. Ke, C. Yang, Min Chen, G. Zhang, "Online Cloud Transcoding and Distribution for Crowdsourced Live Game Video Streaming", IEEE Trans. on Circuits and Systems for Video Technology, DOI: 10.1109/TCSVT.2016.2556584, 2016. 82 T. Wang, D. Wu, J. Zhang, Min Chen, Y. Zhou, "Measuring and Analyzing Third-party Mobile Game App Stores in China", IEEE Trans. Network and Service Management, Vol. 13, No. 4, pp. 793-805, 2016. 83 D. Wu, H. Tian, J. He, Y. Xu, Min Chen, "On Achieving Cost-Effective Adaptive Cloud Gaming in Geo-distributed Data Centers", IEEE Trans. on Circuits and Systems for Video Technology, DOI: 10.1109/TCSVT.2015.2416563, 2015. 84 Min Chen, Y. Hao, C. Lai, D. Wu, Y. Li, K. Hwang, "Opportunistic Workflow Scheduling over Co-Located Clouds in Mobile Environment", IEEE Trans. Service Computing, DOI: 10.1109/TSC.2016.2589247, 2016. 85 Min Chen, X. Shi, Y. Zhang, D. Wu, M. Guizani, "Deep Features Learning for Medical Image Analysis with Convolutional Autoencoder Neural Network", IEEE Trans. Big Data, DOI:10.1109/TBDATA.2017.2717439, 2017. 86 Min Chen, J. Yang, et al., "Urban Healthcare Big Data System based on Crowdsourced and Cloud-based Air Quality Indicators", IEEE Communications, to appear, 2017. 87 Min Chen, Y. Ma, Y. Li, D. Wu, Y. Zhang, C. Youn, "Wearable 2.0: Enable Human-Cloud Integration in Next Generation Healthcare System", IEEE Communications, Vol. 55, No. 1, pp. 54-61, Jan. 2017. 1 Min Chen, Y. Zhang, Y. Li, S. Mao, V. Leung, "EMC: Emotion-aware Mobile Cloud Computing in 5G", IEEE Network, Vol. 29, No. 2, pp. 32-38, Mar. 2015. 3 Min Chen, Y. Zhang, Y. Li, M. Hassan, A. Alamri, "AIWAC: Affective Interaction through WearAble Computing and Cloud Technology", IEEE Wireless Communications Magazine, Vol. 22, No. 1, pp. 20-27, Feb. 2015. 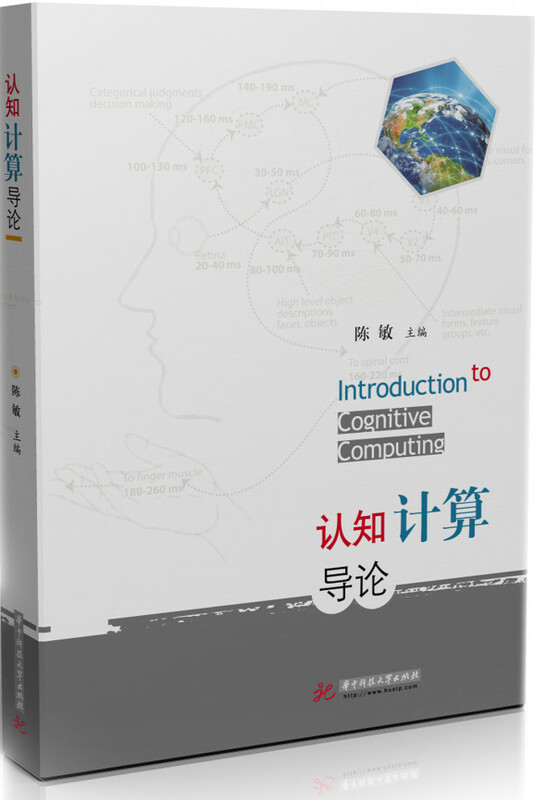 4 Min Chen, "OPNET物联网仿真", 华中科技大学出版社, ISBN 978-7-5609-9510-6, April 2015. 5 Min Chen, Y. Hao, Y. Li, D. Wu, D. Huang, "Demo: LIVES: Learning through Interactive Video and Emotion-aware System", ACM Mobihoc 2015 (demo paper), Hangzhou, June 22-25, 2015. 39 Min Chen, "AMVSC: A Framework of Adaptive Mobile Video Streaming in the Cloud", IEEE Globecom 2012, California, USA, Dec. 3-7, 2012. 42 Min Chen, "MM-QoS for BAN: Multi-Level MAC-Layer QoS Design in Body Area Networks", IEEE Globecom 2013, Atlanta, Georgia, USA, Dec. 9-13, 2013. 44 Min Chen, D. Mau, X. Wang, "Enabling Comfortable Sports Therapy for Patient: A Novel Lightweight Durable and Portable ECG Monitoring System", IEEE Healthcom 2013, Lisbon, Portugal, Oct. 2013. 46 Min Chen, Y. Ma, J. Wang, D. Mau, E. Song, "The Virtue of Sharing: Efficient Content Delivery in Wireless Body Area Networks for Ubiquitous Healthcare", IEEE Healthcom 2013, Lisbon, Portugal, Oct. 2013. 47 Min Chen, D. Mau, Y. Zhang, T. Taleb, V. Leung, "VENDNET: VEhicular Named Data NETwork", Vehicular Communications, Vol. 1, No. 4, pp. 208-213, Oct. 2014. 48 Min Chen, Y. Zhang, L. Hu, T. Taleb, Z. Sheng, " Cloud-based Wireless Network: Virtualized, Reconfigurable, Smart Wireless Network to Enable 5G Technologies ", ACM/Springer Mobile Networks and Applications, Vol. 20, No. 6, pp. 704-712, Dec. 2015. 49 Min Chen, J. Wang, C. Lai, D. Wu, J. Wan, L. Peng, C. Youn, " Multipath Planning based Transmissions for IoT Multimedia Sensing", IEEE IWCMC , Greece, Sep. 2016. 50 Min Chen, Y. Ma, Y. Hao, Y. Li, D. Wu, Y. Zhang, E. Song, "CP-Robot: Cloud-assisted Pillow Robot for Emotion Sensing and Interaction", Industrialiot 2016, Guangzhou, China, Mar. 2016. ( Best Paper Award ). 51 Min Chen, X. Wang, J. Wang, D. Wu, Y. Li, "KCN : Guaranteed Delivery via K-Cooperative-Nodes in Duty-Cycled Sensor Networks", IEEE 12th International Conference on Mobile Ad Hoc and Sensor Systems (MASS) , pp. 449-451, Oct. 2015. 54 Min Chen, Y. Qian, K. Hwang, J. Song, S. Mao, "Privacy Protection and Intrusion Avoidance for Cloudlet-based Medical Data Sharing", IEEE Trans. Cloud Computing , accepted, 2016. 55 Min Chen, Y. Hao, M. Qiu, J. Song, D. Wu, I. Humar, "Mobility-aware Caching and Computation Offloading in 5G Ultradense Cellular Networks", Sensors, Vol. 16, No. 7, pp. 974-987, 2016. 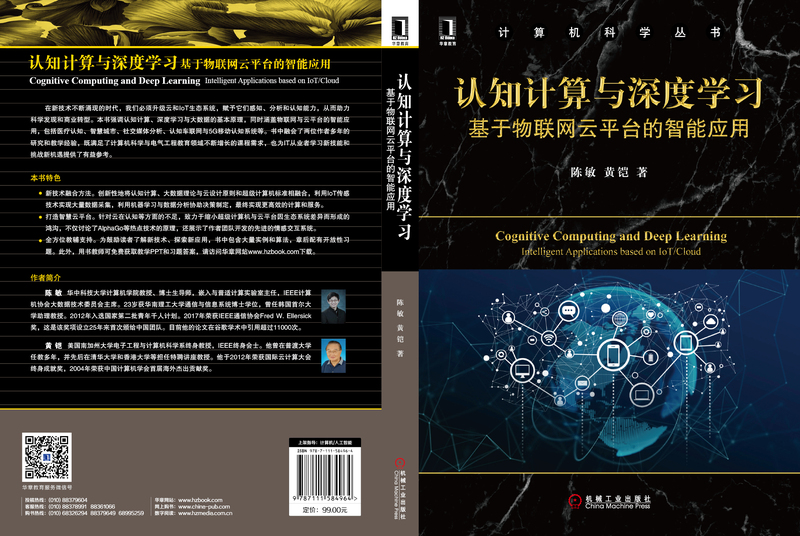 60 Min Chen, J. Yang, Y. Hao, , S. Mao, K. Hwang, "A 5G Cognitive System for Healthcare", Big Data and Cognitive Computing, Vol. 1, No. 1, DOI:10.3390/ bdcc1010002, 2017. 61 Min Chen, X. Shi, Y. Zhang, D. Wu, M. Guizani, "Deep Features Learning for Medical Image Analysis with Convolutional Autoencoder Neural Network", IEEE Trans. Big Data, DOI:10.1109/TBDATA.2017.2717439, 2017. 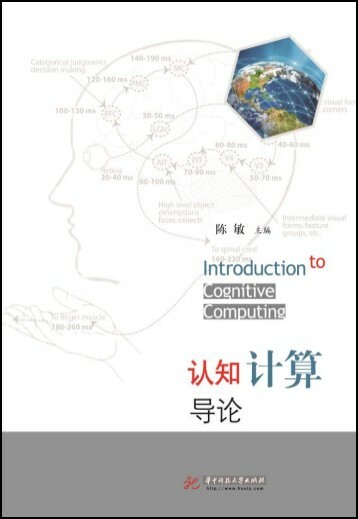 62 Min Chen, Y. Tian, G. Fortino, J. Zhang, I. Humar, "Cognitive Internet of Vehicles", Computer Communications, Vol. 120, pp. 58-70, May 2018. 63 Min Chen, Y. Hao, C. Lai, D. Wu, Y. Li, K. Hwang, "Opportunistic Workflow Scheduling over Co-Located Clouds in Mobile Environment", IEEE Trans. Service Computing, Vol. 11, No. 3, pp. 549-561, 2018. 64 Min Chen, Y. Hao, L. Hu, M. Hossain, A. Ghoneim, "Edge-CoCaCo: Towards Joint Optimization of Computation, Caching and Communication on Edge Cloud", IEEE Wireless Communications, Vol. 25, No. 3, pp. 21-27, June 2018. 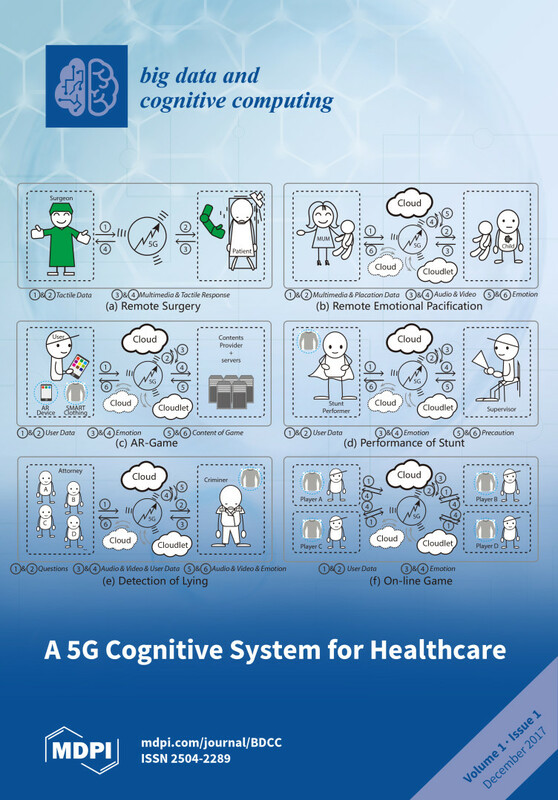 65 Min Chen, J. Yang, J. Zhou, Y. Hao, J. Zhang, C. Youn, "5G-Smart Diabetes: Towards Personalized Diabetes Diagnosis with Healthcare Big Data Clouds", IEEE Communications, Vol. 56, No. 4, pp. 16-23, April 2018. 67 Min Chen, K. Hwang, "认知计算与深度学习", 华章出版社, IBSN: 978-7-111-58496-4, 2018. 68 Min Chen, "5G移动缓存与大数据", 华中科技大学出版社, April 2018. 71 Min Chen, J. Yang, G. Tao, J. Zhou, X. Zhang, "Wearable Affective Robot", IEEE Access, DOI: 10.1109/ACCESS.2018.2877919, 2018. 72 Min Chen, Y. Miao, X. Jian, X. Wang, L. Hu, "Cognitive-LPWAN: Towards Intelligent Wireless Services in Hybrid Low Power Wide Area Networks", IEEE Trans. Green Commuications and Networking, DOI: 10.1109/TGCN.2018.2873783, 2018. 74 Min Chen, W. Li, G. Fortino, Y. Hao, L. Hu, I. Humar, "A Dynamic Service-Migration Mechanism in Edge Cognitive Computing", ACM Transactions on Internet Technology, https://arxiv.org/pdf/1808.07198, 2018. 1 D. Mau, T. Taleb, Min Chen , “MM3C: Multi-Source Mobile Streaming in Cache-enabled Content-Centric Networks”, In the IEEE Global Communication Conference (Globecom 2015), San Diego, CA, USA, December 6-10, 2015. 2 Y. Huang, Min Chen, Z. Cai, X. Guan, T. Ohtsuki, Y. Zhang, "Graph Theory Based Capacity Analysis for Vehicular Ad Hoc Networks"
4 J. Zhao, C. Liu, Min Chen, X. Liu, K. Leung, "Energy-Efficient Dynamic Event Detection by Participatory Sensing", IEEE ICC 2015, UK London, UK, June 8-12, 2015. 5 Z. Sanaei, S. Abolfazli1, A. Gani, Min Chen, "HMCC: A Hybrid Mobile Cloud Computing Framework Exploiting Heterogeneous Resources", 3rd IEEE International Conference on Mobile Cloud Computing, Services, and Engineering (IEEE Mobile Cloud 2015), San Francisco, USA, pp. 157-162, Mar.30-Apr.3, 2015. 6 W. Cai, Min Chen, C. Zhou, V. Leung, H. Chan, "Resource Management for Cognitive Cloud Gaming", Sydney, Australia, June 10-14, 2014. 7 T. Taleb, A. Ksentini, "A Markov Decision Process-based Service Migration Procedure for Follow Me Cloud", Sydney, Australia, June 10-14, 2014. 8 X. Wang, Min Chen, Z. Han, D. Wu, T. Kwon, "TOSS: Traffic Offloading by Social Network Service-Based Opportunistic Sharing in Mobile Social Networks", IEEE INFOCOM 2014, Toronto, Canada Apr. 27-May 2, 2014. 9 Y. Zhang, L. Wang, X. Wang, Min Chen, "COMER: ClOud-based MEdicine Recommendation", QShine 2014, Rhodes, Greece, Aug. 18-19, 2014. 10 D. Mau, Min Chen, T. Taleb, X. Wang, V. Leung, "FGPC: Fine-Grained Popularity-based Caching Design for Content Centric Networking", The 17th ACM International Conference on Modeling, Analysis and Simulation of Wireless and Mobile Systems (ACM MSWiM 2014), Montreal, Canada, Sep. 21-26, 2014. 11 Y. Huang, Min Chen, Z. Cai, X. Guan, C. Liu, T. Ohtsuki, "Capacity Analysis for Urban Vehicular Ad Hoc Networks with Graph-Theory Based Construction", In the IEEE Global Communication Conference (Globecom 2014), Huston, Texas, USA, December 8-12, 2014. 12 W. Cai, Min Chen, C. Zhou, V. Leung, H. Chan, "Resource Management for Cognitive Cloud Gaming", IEEE ICC 2013, Sydney, Australia, June 2014. 13 T. Taleb, A. Ksentini, "A Markov Decision Process-based Service Migration Procedure for Follow Me Cloud", IEEE ICC 2013, Sydney, Australia, June 2014. 14 B. Han, X. Wang, X. Chen, T. Kwon, Y. Choi, D. Mau, Min Chen, "PPP: Prefix-based Popularity Prediction for Effective Caching in Content-Centric Networking", ACM CFI 2014, Tokyo, Japan, June 2014. 15 X. Wang, Min Chen, Z. Han, D. Wu, T. Kwon, "TOSS: Traffic Offloading by Social Network Service-Based Opportunistic Sharing in Mobile Social Networks", IEEE INFOCOM 2014, Toronto, Canada Apr. 27-May 2, 2014. 17 Min Chen, D. Mau, X. Wang, H. Wang, "The Virtue of Sharing: Efficient Content Delivery in Wireless Body Area Networks for Ubiquitous Healthcare", IEEE Healthcom 2013, Lisbon, Portugal, Oct. 2013. 18 Min Chen, Y. Ma, J. Wang, D. Mau, E. Song, "Enabling Comfortable Sports Therapy for Patient: A Novel Lightweight Durable and Portable ECG Monitoring System", IEEE Healthcom 2013, Lisbon, Portugal, Oct. 2013. 19 W. Ji, Min Chen, et. al., "Modeling the Hybrid Temporal and Spatial Resolutions Effect for Web Video Quality Evaluation", IEEE Globecom 2013, Atlanta, Georgia, USA, Dec. 9-13, 2013. 20 Y. Sun, Min Chen, et. al., "A High Performance Network Architecture for Large-scale Cloud Media Data Center", IEEE Globecom 2013, Atlanta, Georgia, USA, Dec. 9-13, 2013. 21 Y. Sun, Min Chen, et. al., "FAR: A Fault-avoidance Routing Method for Data Center Networks with Regular Topology", ACM/IEEE Symposium on Architectures for Networking and Communications Systems (ACM ANCS) 2013, San Jose, CA, Oct. 21-22, 2013. 23 P. Shu, F. Liu, H. Jin, Min Chen, F. Wen, Y. Qu, Bo Li, "eTime: Energy-Efficient Transmission between Cloud and Mobile Devices", IEEE INFOCOM 2013 - Mini Conference, Turin, Italy, Apr. 14-19, 2013. 24 W. Cai, V. Leung, Min Chen, "Next Generation Mobile Cloud Gaming", IEEE 7th International Symposium on Service Oriented System Engineering (IEEE SOSE 2013), pp. 551-560, March 2013. Min Chen, "MM-QoS for BAN: Multi-Level MAC-Layer QoS Design in Body Area Networks", IEEE Globecom 2013, Atlanta, Georgia, USA, Dec. 9-13, 2013. General Co-Chair, 8th International Conference on Mobile Multimedia Communications (Mobimedia 2015), Chengdu, China, May 25-27, 2015. TPC Chair, IEEE 16th International Conference on E-health Networking, Application & Services, (IEEE Healthcom 2015), Boston, USA, October 2015. Steering Committee Co-Chair, The 4th International Conference on Cloud Computing (CloudComp 2014), Guilin, China, Oct. 19-21, 2014. Steering Committee Co-Chair, The 5th International Conference on Cloud Computing (CloudComp 2015), Daejon, Korea, October 2015. TPC Co-Chair, International Conference on Cyber-enabled Distributed Computing and Knowledge Discovery (CyberC 2014), Shanghai, China, Oct. 10-12, 2014. General Vice Chair, 9th International Conference on Testbeds and Research Infrastructures for the Development of Networks & Communities (TRIDENTCOM 2014), May 5–7, 2014 Guangzhou, People's Republic of China.